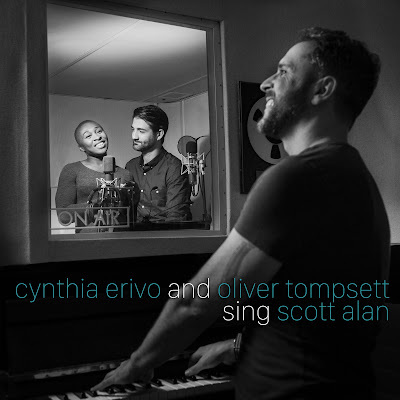 There’s an eclectic, relaxed charm to this collection of Scott Alan’s songs as performed by Cynthia Erivo and Oliver Tompsett. With Alan having enjoyed a modest UK residency this summer / autumn, there is a natural evolution that has seen this album born out of a collaboration of three people who evidently enjoy and above all complement each other’s talents. Many people will have seen Alan perform live at London’s various cabaret venues in recent years with both Erivo and Tompsett. Whilst this album doesn’t seek to replicate a gig’s unique intimacy, it offers a glimpse into the warm and informal excellence that defines these particular collaborations. With few exceptions it is the whole of this album that makes it distinctive, rather than specific songs. Each track is passionately recorded and carefully mastered but Alan cognoscenti may feel some works have been more finely crafted elsewhere. Erivo’s take on Anything Worth Holding Onto in particular, is “heartbreakingly sublime” on the Greatest Hits Volume 1 album – whereas here it’s simply more peacefully introspective, though still retaining its inherently inspirational message. Tompsett’s Sail is divine – and whilst all of his work on the album is flawless, this number defines the man's regard for Alan’s work. Singing with Erivo on harmonised numbers that include Warm, You’re Not Alone and Always/Goodnight offers up a surfeit of beautiful balladry. Perhaps the album’s biggest treat is a recording of At All, written for Erivo as she takes her first steps as a Broadway leading lady. There's a huge significance to this song for it was in 2013, midway through Erivo’s storming, starring run as Celie in The Color Purple (the production that is now transferring to NY) at London’s modest Menier Chocolate Factory that she first came to Alan’s work. Even after rushed rehearsals Erivo only unlocked Anything Worth Holding Onto as she sat on the O2 stage, in front of thousands, with tears streaming down her face. 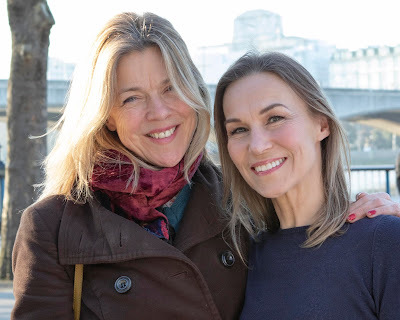 The friendship that has since evolved between the writer and his muse is a joy to behold – and this number defines the pair’s mutual understanding. This album defines that sentiment, go add it to your collection. A must have album. Simply stunning. My favourite track is "Stay" by Oliver Tompsett. Probably enhanced by the you-tube video I have of him performing it live at the London Hippodrome.